Description: Recommended enhancement: Lucky. Pirates are opportunistic rogues and treasure hunters of the sea. Combat might not always go their way but they will do the best they can to make the most of any combat situation they find themselves in. You never really know what move a pirate will make next, and just as often, they don't know either. Description: A cutlass is the primary weapon of a pirate and is their weapon of choice. Gains a stack of Cutlass and Combo on yourself. Each stack increases your chance to crit by 3% and your crit damage by 7% up to 5 stacks for 8 seconds. Description: You always carry a pistol around saving it for the opportunity moment. Deals heavy damage. Gives either Cannon Burn dealing 400% damage over 8 seconds or Cannon Fodder which increases all damage taken by the target by 20% for 8 seconds. Description: Let off a blast of cannon fire from your conveniently nearby but hidden ship. Deals massive damage. Applies Cannon Rage and Cannon Wound, increasing your opponents haste by 25% while reducing damage by 35%. 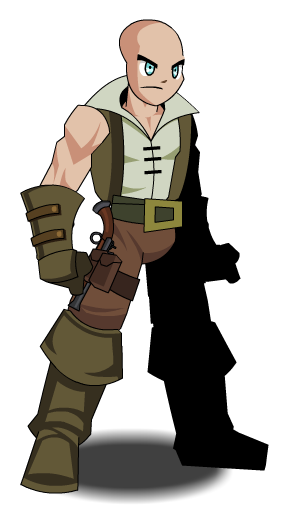 This class has the same skills as Alpha Pirate (Class).